What often looks like chaos in California politics is actually part of its long history of populist democracy dating back to Governor Hiram Johnson in the early 1900s, according to Los Angeles Times reporter Mathews. Arnold Schwarzenegger merely borrowed several pages from Johnson's book of showmanship and direct, dynamic democracy: initiatives, referendums, and recalls. Mathews delivers a completely engrossing look at Schwarzenegger's long and calculated strategy to run for political office, taking advantage of the Gray Davis recall to sidestep a Republican primary where his liberal social views would have been a problem. Mathews details Schwarzenegger's foibles and fumbles (including the "girlie man" criticism of the legislature), as well as his brilliant moves and dogged determination to build "a political machine run not on patronage but on stardust." 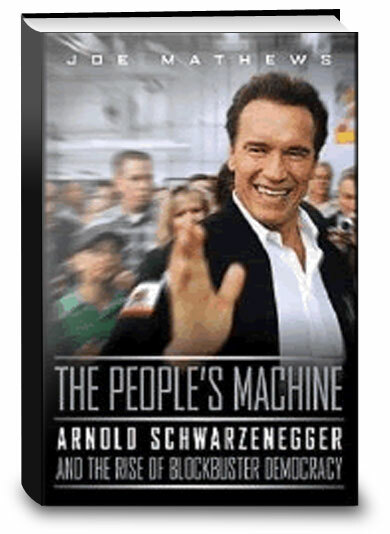 Click the button below to add the The People's Machine: Arnold Schwarzenegger and the Rise of Blockbuster Democracy to your wish list.